Unibio has reached a significant milestone along its path. The first commercial U-Loop® fermentation production facility has been officially opened on Monday 21 November by H.R.H. Prince Joachim of Denmark. The ceremony was attended by dignitaries and speeches were held by the mayor of Kalundborg Martin Damm, the Minister for Energy, Utilities and Climate Lars Chr. 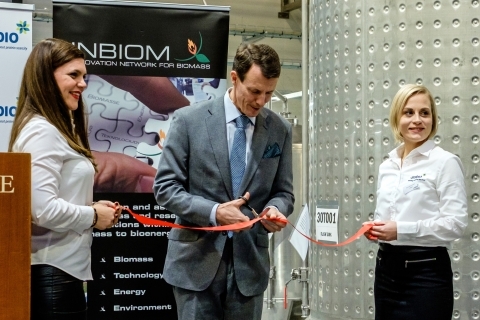 Lilleholt, the CEO of the Danish Agriculture & Food Council Karen Hækkerup, Unibio´s CEO Henrik Busch Larsen and His Royal Highness Prince Joachim of Denmark. 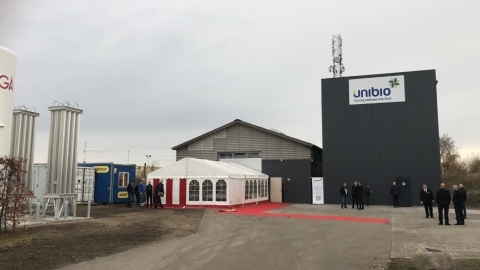 The Unibio Team was happy to welcome guests and business partners form all around the world and guide them around the new facilities that are producing a highly-concentrated protein (UniProtein®) for direct supplement in animal feed. This innovative protein source allows a safe, sustainable and consistent sourcing of proteins decoupled from the fluctuating agriculture and fishing industries.